Explore the many twists and turns of Doubtful Sound, a large fjord where calm, dark blue water is flanked by green mountain peaks. The sound was named by Captain Cook in the 16th century because he was unsure if it was accessible by sailboat; today, access to this isolated area is restricted to boat cruises and bus trips. To get more out of your visit, consider an overnight cruise or kayaking in the sound. The unspoiled wilderness area supports rare marine life like bottlenose dolphins, penguins, fur seals, and sometimes whales. 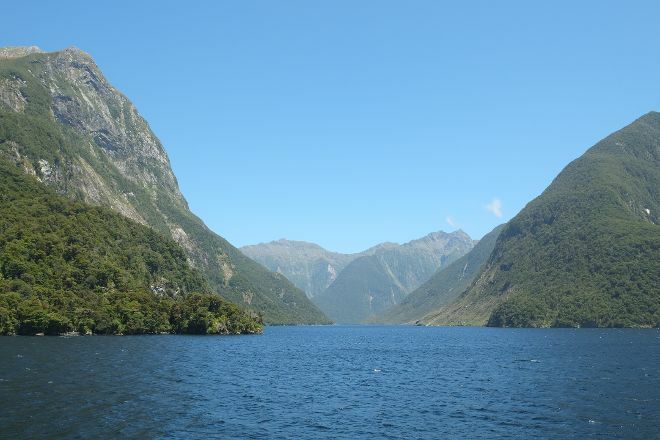 Using our custom trip planner, Te Anau attractions like Doubtful Sound can form part of a personalized travel itinerary. Absolutely amazing. We saw a lot of falls, dolphins jumping next to our boat and the nature was breathtaking. I enjoyed it very much. beautiful natural scenery, you can breath the fresh air, hear the birds sound. A place without human pollution. A true wonder - would suggest using an electric vessel. Will truly represent "The Place of Silence"
If you have an opportunity do not think twice about it. A beautiful wilderness experience. We were fortunate to have snow capped hills. Such dramatic scenery. We went on the Fiordland navigator for an overnight stay. An incredible journey. Fabulous place. We did the Real Journeys overnight tour which was well worth it! Every day, we help thousands of travelers plan great vacations. Here are some tips on how to use your Listing Page to attract more travelers to your business - Doubtful Sound. Promote your permanent link - https://www.inspirock.com/new-zealand/te-anau/doubtful-sound-a910393229 - on your website, your blog, and social media. 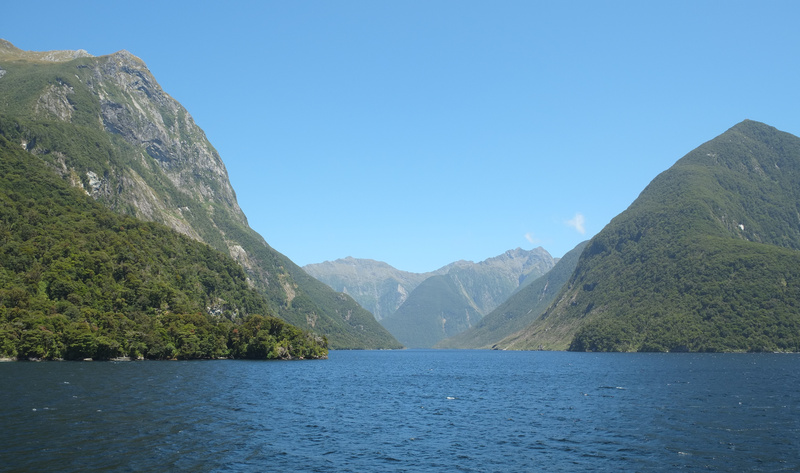 When a traveler builds a plan from this page, the itinerary automatically includes Doubtful Sound. This is a great way for travelers looking for a great vacation in your city or country to also experience Doubtful Sound. Promoting your link also lets your audience know that you are featured on a rapidly growing travel site. In addition, the more this page is used, the more we will promote Doubtful Sound to other Inspirock users. For best results, use the customized Trip Planning Widget for Doubtful Sound on your website. It has all the advantages mentioned above, plus users to your site can conveniently access it directly on your site. Visitors to your site will appreciate you offering them help with planning their vacation. Setting this up takes just a few minutes - Click here for instructions.